Across cultures, borders, and ethnic lines, people around the world hold a deep personal connection to food. The emotional bond that people have to the foods they love is multilayered. 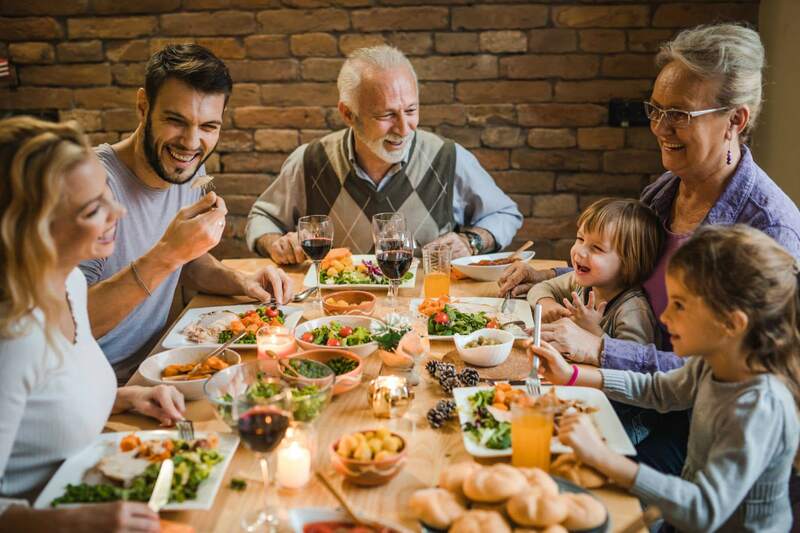 Food brings people together, adding merriment, joy and interest to a variety of occasions from a quiet family dinner at home, to a rousing culinary exploration of a new restaurant with friends, religious and cultural traditions, or landmark life events like weddings and graduations. A home-cooked meal can also be associated with a show of affection. Nutrition plays a pivotal role in the journey towards optimal health and well-being. The personal and emotional connections people have to the foods that they eat are among the chief reasons why nutritional change is such a challenge, even in the face of medical necessity or chronic disease risk. Chronic diseases are the leading cause of death and disability in the US and are also among the most costly and preventable.1 About half of all American adults—117 million individuals—have one or more preventable chronic diseases, many of which are related to poor eating patterns.2 The health risk factors of physical inactivity, tobacco use and exposure and poor nutrition are the leading causes of chronic disease.1 It is also interesting to note that in the face of skyrocketing rates of chronic diseases that have a strong nutritional component such as Type II diabetes, obesity, and heart disease, most conventional medical providers are not adequately trained to address nutritional habits in a way that sufficiently supports their patients in making foundational, permanent changes that could help improve overall vitality or slow disease development or propagation. Dietary Analysis and Assessment is the comprehensive evaluation of nutrient intake including intensive study of various nutrition therapies and their evidentiary support in medical research and clinical observations as well as determining individual micro- and macro- nutrient needs based on individual factors, evaluation of what current intakes of macro- and micronutrients are given the individual dietary intake as a means of establishing a basis for nutrient deficiencies, excesses, imbalances, or other dysfunction including outright nutrition based pathologies. Clinical and Specialized Nutrition Therapy is an application of nutrition principles, protocols, and evidence based dietary systems (i.e. Mediterranean diet) for individual health concerns and conditions. 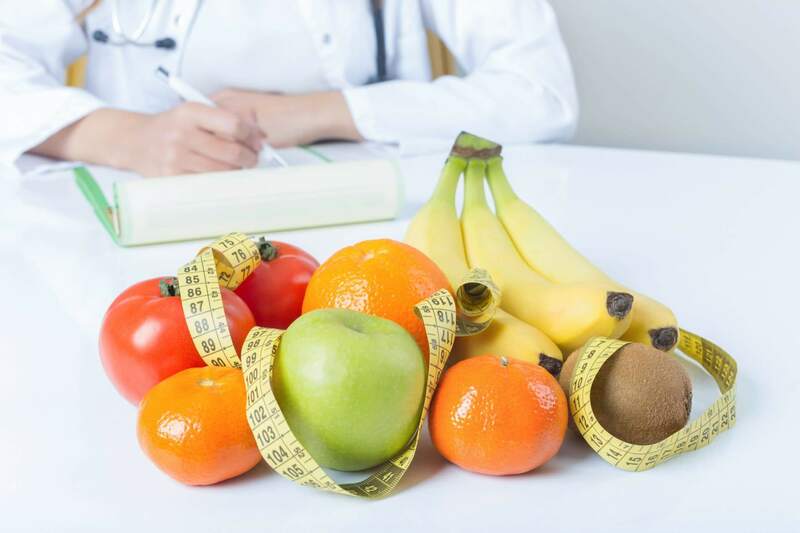 NDs utilize specific nutrients in patient management, providing nutrition therapy to specialty sub-populations like nursing mothers, pediatrics, performance athletes, disordered eating, metabolic syndrome, and others. Nutritional therapy is core to comprehensive naturopathic care. With the goal of restoring balance through appropriate nourishment, it is focused on promoting vitality and well-being through the use of specific, individual dietary interventions, use of therapeutic, personalized dietary prescriptions, and can also include the use of herbs, supplements, and functional foods as well. The impact of the foods we are exposed to plays a direct role in our health from preconception to death. The foods we choose to eat on a daily basis can have important effects related to disease susceptibility, proper physical, mental, and intellectual development, inflammation and immunity. Whether these effects are taking us in a positive direction or a negative one depends on the choices we make. The role that nutrition plays in not only the restoration of health but also the maintenance of health cannot be overstated. Going back as far as the times of Hippocrates, it was the steadfast belief that food should be the primary medicine. In the last century we have seen a drastic drop in infectious disease and much lower rates of nutrient deficiencies, but this came with a trade-off.2 As infectious disease rates have dropped, the rates of noncommunicable diseases—specifically, chronic diet-related diseases, have risen, due in part to changes in lifestyle behaviors.2 At a population level, the quality of the American diet has drastically decreased over time with 60% of calorie consumption coming from ultra-processed foods (packaged formulations resulting from several sequences of industrial processes).5 Unfortunately, a loss of connection to where our food comes from, and to the value of fresh, seasonal, local food means that many people have also lost sight of the notion that the foods we eat are actually fuel for the body, and that the purpose of food is not only for enjoyment but also to provide the body with what it needs to function optimally and provide the best opportunity for maximal overall health, well-being, and longevity. Macro and Micronutrient Therapy incorporates learning the nutritional biochemistry behind macro- and micronutrients, the importance of an individualized balance of proteins, fats, and carbohydrates as well as daily requirements of vitamins and minerals. NDs guide patients to good sources of various micronutrients, information on the utilization of optimal ratios for nutrients and nutrient subtypes, how micronutrients are absorbed and assimilated, what can be done to support optimal absorption and assimilation, how our DNA impacts our nutrition, micronutrient, and vitamin needs, as well as knowledge surrounding deficiency, storage, excretion, and toxicity. Naturopathic physicians are a key guide, leading patients to life-long prevention and wellness through individualized, whole-person-focused nutrition.